First impressions you might wonder what this car is. 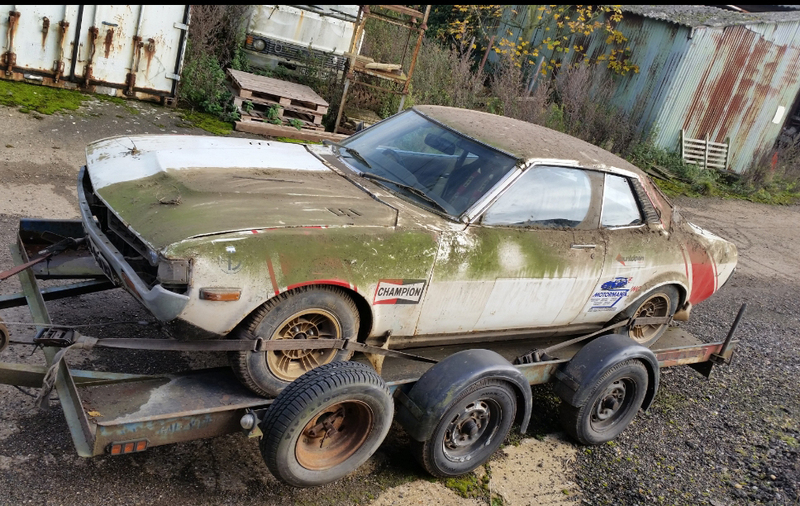 Its a 1976 Toyota Celica TA23 1.6 ST, on a closer look it’s quite the individual car. This car was rescued from a farm building where it had sat for many years. As you can see from the pictures it was untouched for ages. It’s competed in some rally events and still has the entry stickers on the dash and roll cage from its events. Overall it’s a very well prepared car with twin fuel pumps, plumbed in fire extinguisher, full roll cage, bucket seats with 4 point harness. The wheels are magnesium Enkei Mags which are an ultra light wheel and very rare. This car will be going through a full restoration to bring it back to its former glory and maybe even race again. Keep checking in the see progress, and i’m off to get the jet washer out.